» Cars for sale in Australia » Notspecified » Devil Cat 4 meter open runabout, single motor option. Devil Cat 4 meter open runabout, single motor option. Thia is meter open runabout, with pod fitted under the tunnel to allow single motor to be fitted, thus saving lot of money over the normal "Cat" configuration of motors. We have designed this open runabout for those people who don't want front deck or large gunwales down each side. This also saves lot of money weight. 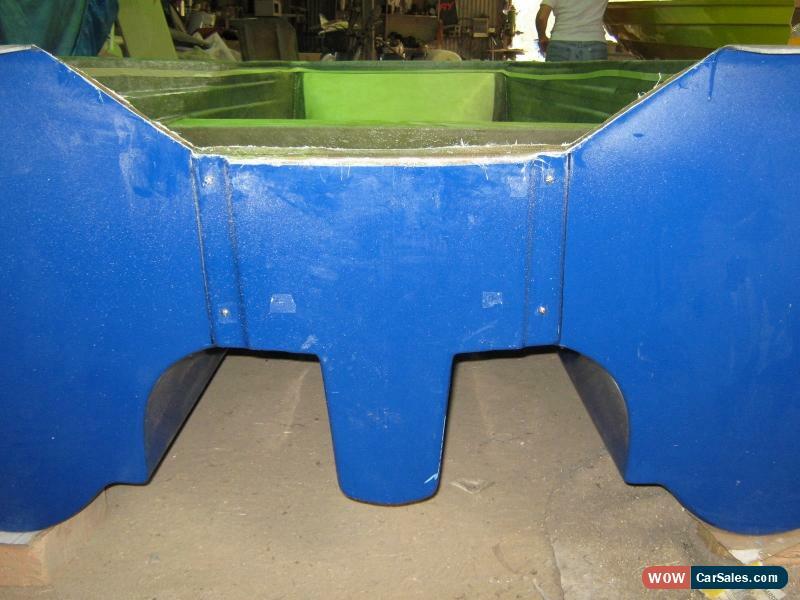 This boat is just as strong as the normal full deck model, saves you considerable amount. lock up small locker can be added in the nose for stowage if required any modifications can be made prior to manufacture. 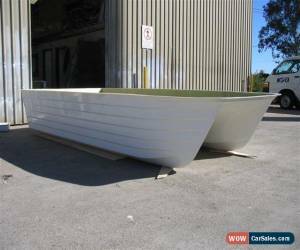 This model is 3.95 meters long, 1.8 meters wide 950mm high, it has nice flat,solid gunwale completely around the boat, finished with neat gunwale rubber for protection. The transom is re-inforced to take up to 50hp single outboard motor. The other great aspect of this boat is, that it only weighs 260kgs can be easily moved on box trailer etc, without the necessity to have purpose built boat trailer if you don't want it. The standard colour for this boat is White, however any colour within reason can be made for small extra charge. 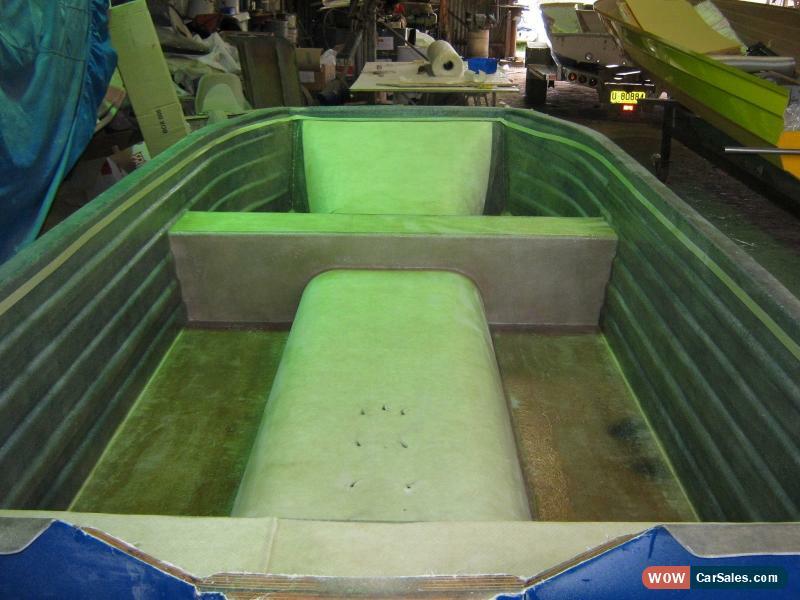 We have just trialed slightly different layup been able to make the boat quite deal lighter in doing so we use lot less materials in manufacture, which in turn, saves money, so we can now offer this model in the single motor configuration for lot less money than before, saving of $1,000.00. Transport can be arranged to any location at purchasers expense, please call for quote. 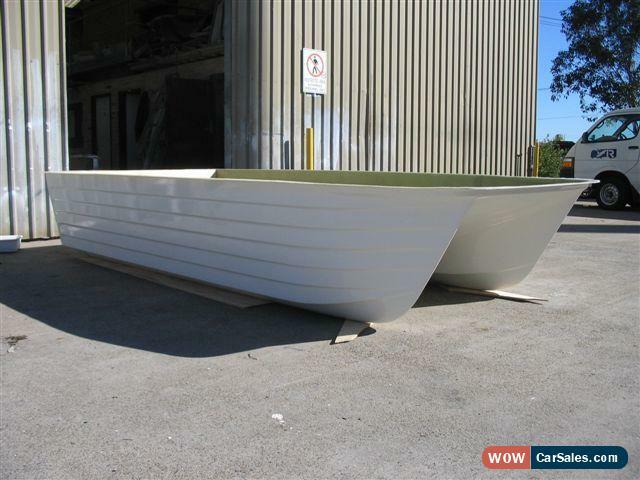 All our boats are hand made in Australia at our factory carry full guarantee against faulty materials or workmanship. For further inquires, please call Darren or Ray on 0457-260588.